With the change in political climate, the high-profile High Speed Railway project (HSR) linking Kuala Lumpur and Singapore has been put on hold, while the Rapid Transport System (RTS) that links Johor Bahru and Woodlands is in question. Compared to the HSR, the RTS, if executed, would have a greater impact on enhancing ties between the people from the two countries as it could transport 10,000 passengers every hour. 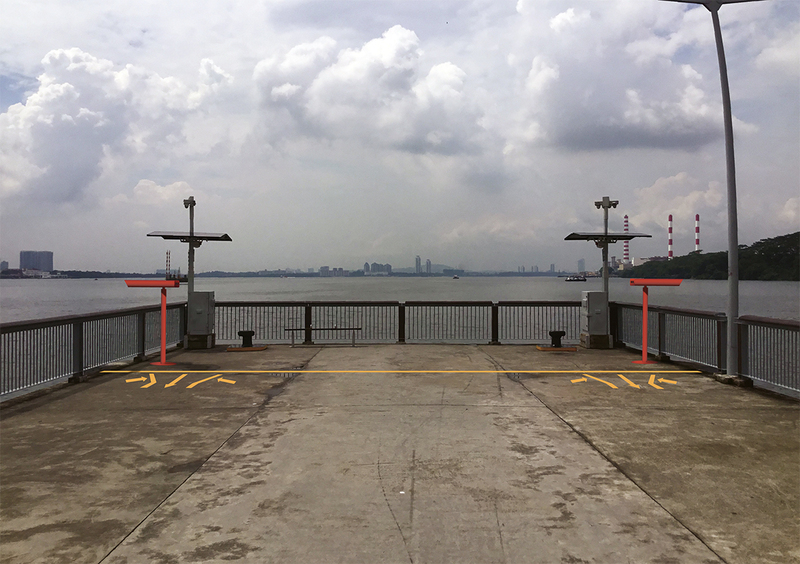 Proposed work was to be located at the end of Woodlands jetty in Woodlands Waterfront Park. It consists of 2 observatory binoculars - one positioned to face Malaysia, while the other points towards Singapore. These bionculars' positions mirrors the RTS planned line of travel and is set at less than 500m from the actual railway track. 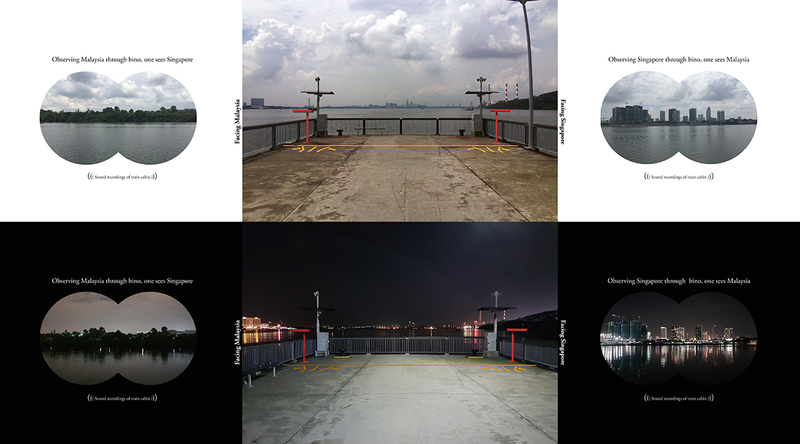 While a visitor observes Malaysia through the binocular, one would see Singapore’s shoreline. Vice versa, when a visitor observes through the binocular pointing at Singapore, he/she will see Johor. Images in the binocular were to be real-time video. Stepping towards the binoculars will activate recorded interior sound of a RTS train travelling.